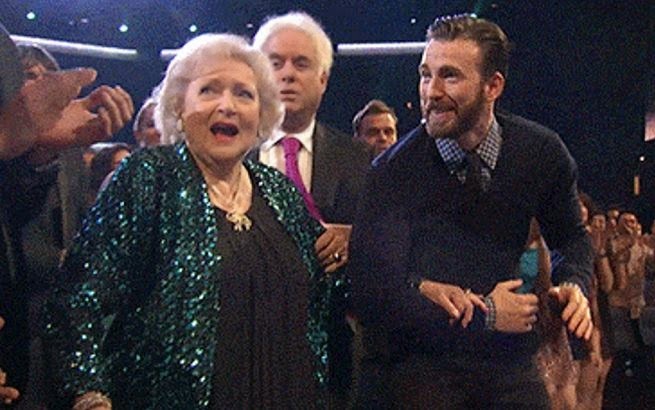 The People's Choice Awards took place today at Los Angeles, but the main highlight was not the winners, but actor Chris Evans whom offered his arm to help 93-year-old actress, Betty White to the stage. The "Captain America" actor who also bagged the award for the Favourite Action Movie Actor category, captured the hearts of the audiences when he offered his arm to a seated White and helped her get up to receive her award for the Favourite TV Icon category. Aww! Isn't Chris Evans a real-life Captain America? Among the other highlights of the viewer driven awards ceremony was Allison Janney and Anna Faris hosting the event, with the latter's husband, "Guardians of the Galaxy" star, Chris Pratt also making a special appearance. Angelina Jolie's Disney flick, "Maleficent" won in the Favorite Movie category, while "Gone Girl", "Divergent", "22 Jump Street" and "The Fault in Our Stars" received awards for the Favourite Thriller, Action, Comedy and the Drama categories, respectively. 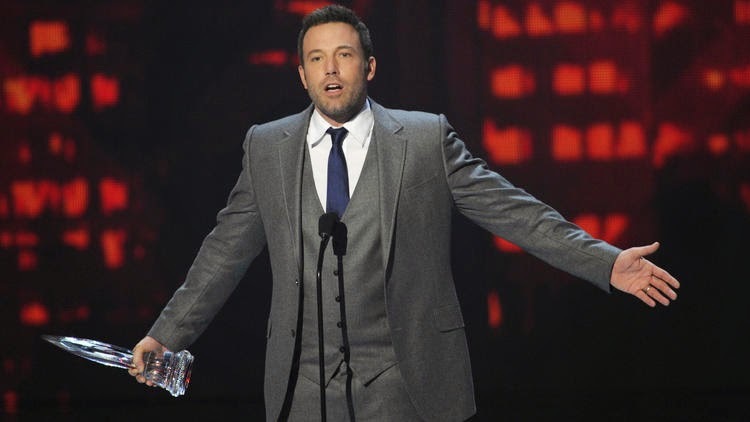 "Gone Girl" actor Ben Affleck received the Favourite Humanitarian Award and gave a heartfelt speech about the state of humanity today. 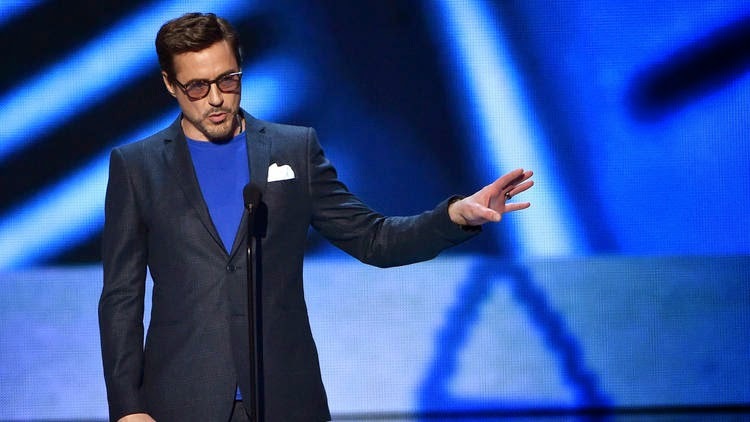 Even "Iron Man" actor Robert Downey Jr. was present to receive his awards for the Favourite Movie Actor and Favourite Dramatic Movie Actor categories. It was also a double award night for actress Jennifer Lawrence, who won Favourite Movie Actress and Favourite Action Movie Actress.